Download the installer by clicking here and double click to execute it. You're done. This is a step by step guide to installing and running the Otsì:! game. We will make available shortly an .exe version that won't require the installation of the UDK, etc. Please email us at info@abtec.org if you'd like to be put in a notification list for when that version is ready. Next we need to delete 2 folders that we are going to be replacing later, so navigate to the first folder located in C:\UDK\UDK-2010-07\Development\Src\. 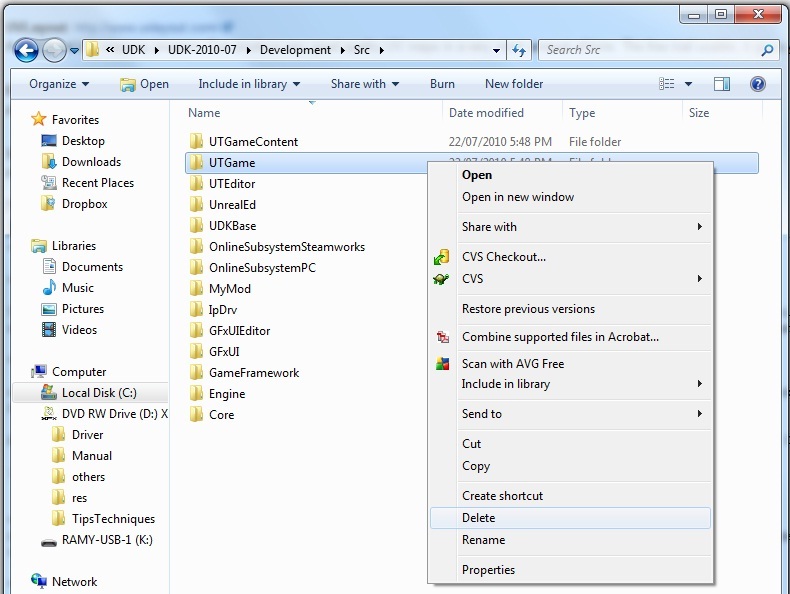 The folder we want to delete is called "UTGame", so right-click on that folder and then click on delete. The second folder is located in C:\UDK\UDK-2010-07\UDKGame\. 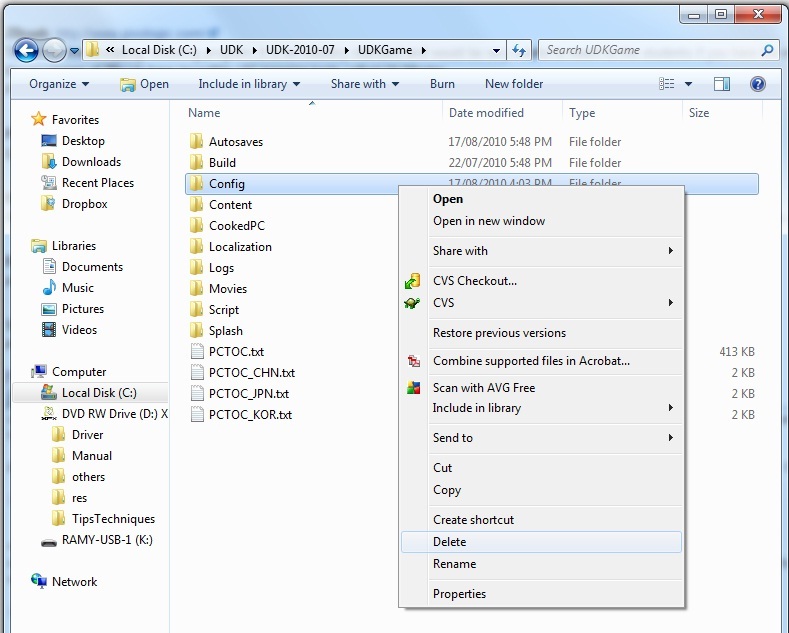 The folder we want to delete there is called "Config", so right click on that folder and click on delete. 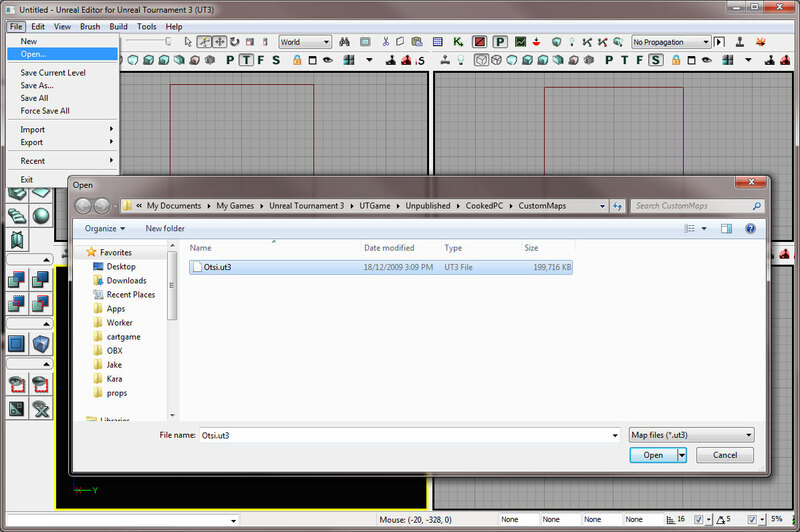 Now that the UDK folder has been prepped, we need to download the Otsì:! files. You will notice that some folders in the Otsì:! files share the same names as those in the UDK, this is on purpose and will enable us to merge and append all changes to the UDK build to have the Otsì:! game running. At every instance, be sure to click YES to merge and YES to replace any and all files and folders. After this, all the Otsì:! files will be merged into the UDK program. The first time you run the game, you will be prompted to re-compile the code to play the game. After the compilation processes has ended, the program will terminate, simply re-execute "otsi_exec.bat" file to start the game. 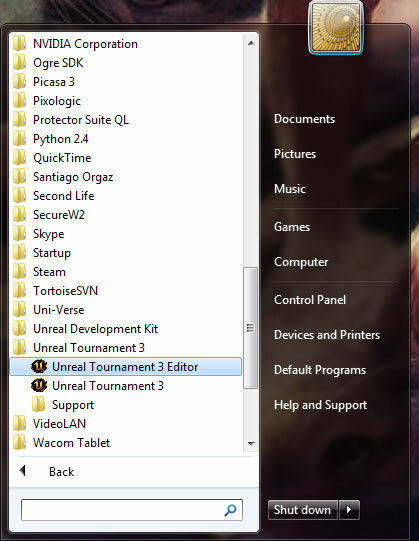 This is the map file that will allow you to open the map in the editor of Unreal Tournament 3. 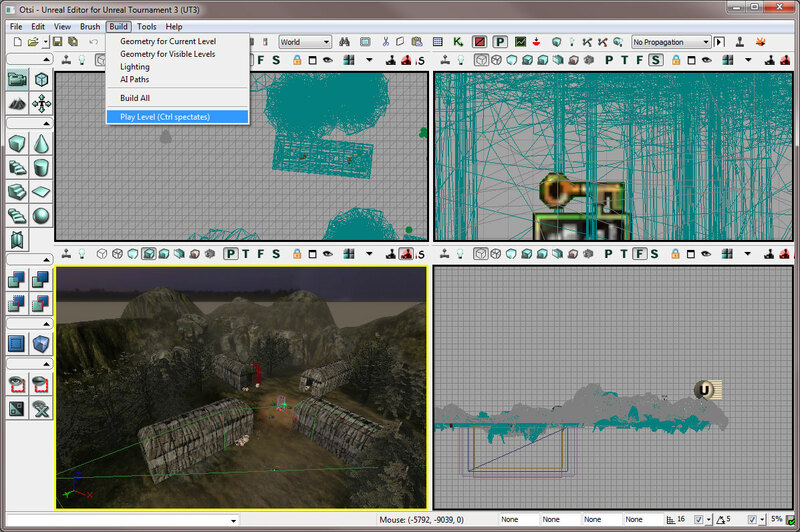 This includes the asset package used in the map. A copy of Unreal Tournament 3.